Position a rack in the center of the oven & preheat your oven to 350 degrees. Grease and flour two 9 inch cake pans. Set aside. 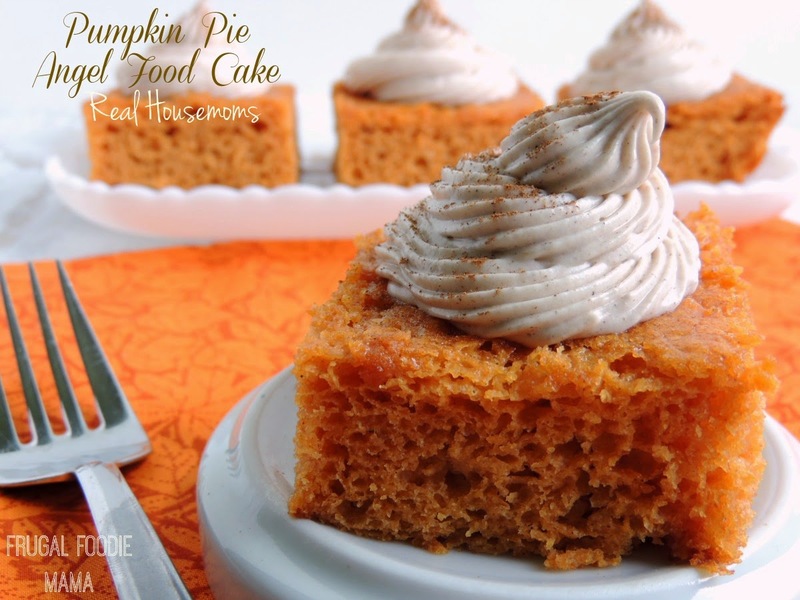 In a large mixing bowl, whisk together all the dry ingredients- the flour through the pumpkin pie spice. In a medium mixing bowl, whisk together all the wet ingredients- the eggs through the pumpkin puree. Add the wet ingredients to the dry ingredients, mixing with a wooden spoon until just combined. Evenly divide the batter between the 2 prepared cake pans. Bake for 30 to 35 minutes until a toothpick inserted into the center of a cake comes out clean. Transfer to wire racks and let cool in the pans for 15 minutes. Run a butter knife around the edge of the pans to loosen the cakes. Invert the cakes onto the racks & gently shake to release them. Let cool completely before frosting the cakes. In a medium mixing bowl, beat together the butter, powdered sugar, and Kona Coffee oil until smooth and creamy- about 3 minutes. Fold in the the thawed whipped topping until well combined. 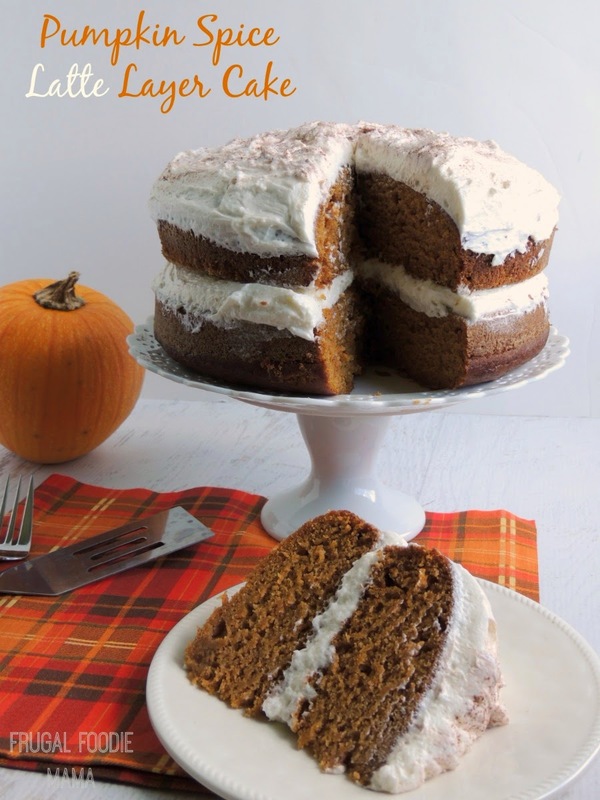 Once your cake layers have cooled completely, place 1 cake layer on a cake plate or platter. Using an offset spatula, spread half of the frosting over the top of the first cake layer. Spread the frosting right to the edge of the top without frosting the sides of the cake. Carefully place the second cake on top, lining up the edges. Spread the remaining frosting over the top of the cake without frosting the sides. Swirl the frosting to decorate the top. Refrigerate the cake to set the frosting. Remove from the refrigerator 15-20 minutes before serving. Dust with cinnamon before serving, if desired. 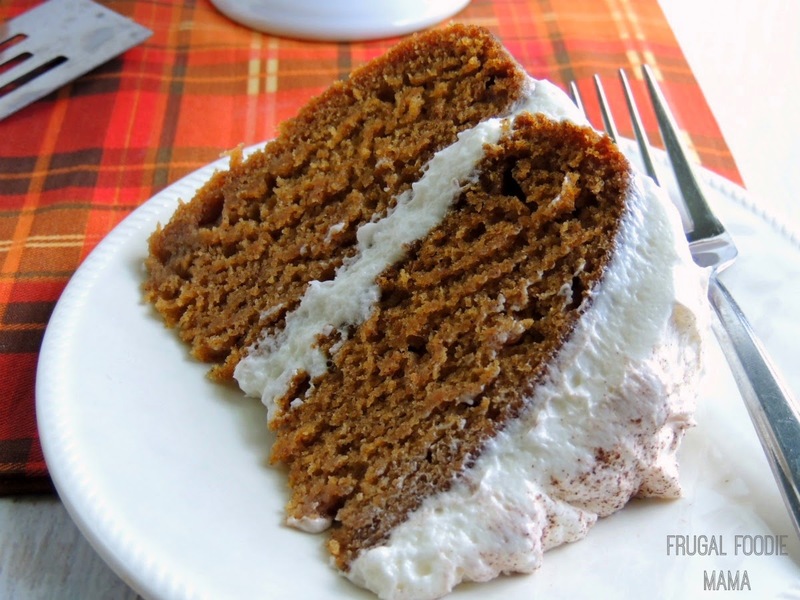 Adapted from this recipe for Spiced Pumpkin Layer Cake from epicurious. I have to say that this cake was taken to a whole other level in flavor thanks to the addition of the LorAnn Butter Vanilla Bakery Emulsion (oh my gosh, I want to start wearing this as perfume- yum!) and the Kona Coffee LorAnn Oil. The Kona Coffee Super Strength Flavoring oil is going to become a game changer for me. I love making coffee flavored treats, but often find I have to use more strongly brewed espresso in a recipe than I need to get the bold flavor that I want. And I sort of loathe those freeze dried coffee granules. This Kona Coffee oil is the perfect solution- the perfectly toasted coffee flavor I am looking for without all the extra liquid! 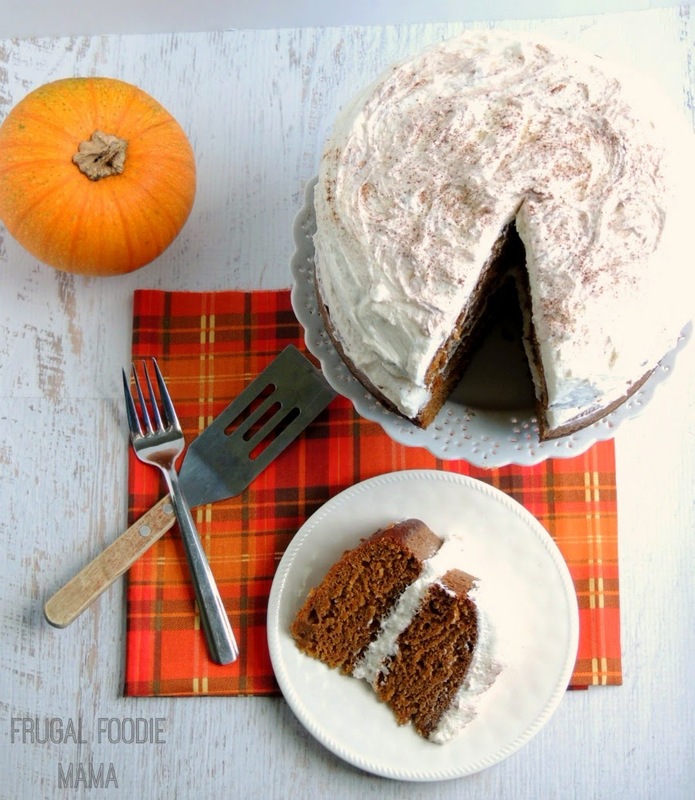 It was perfect for the latte frosting for this cake. 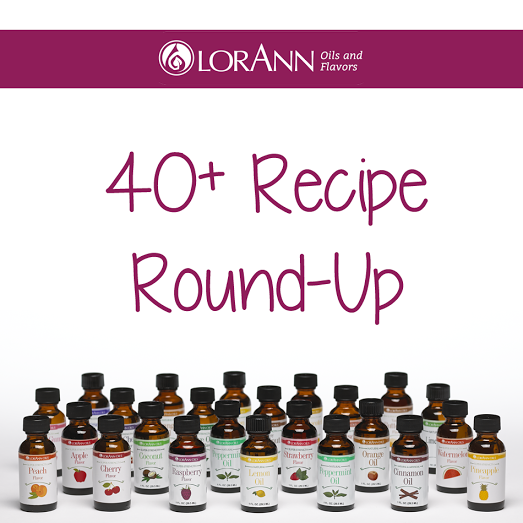 LorAnn's Super Strength Flavorings are 3 to 4 times stronger than typical extracts, so a little goes a long way with these. 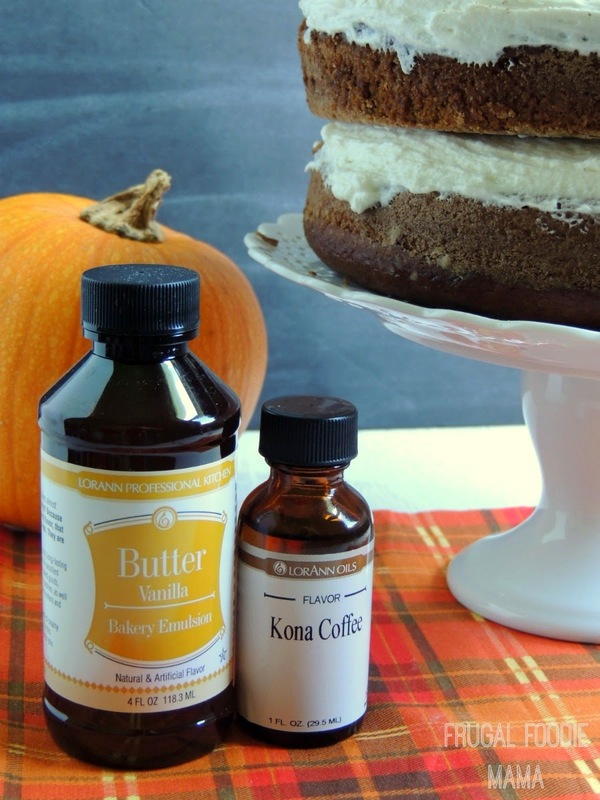 LorAnn's Bakery Emulsions can be swapped out teaspoon for teaspoon for regular extracts. Did I mention that both the bakery emulsions and flavorings are crazy affordable at less than $6 a bottle?